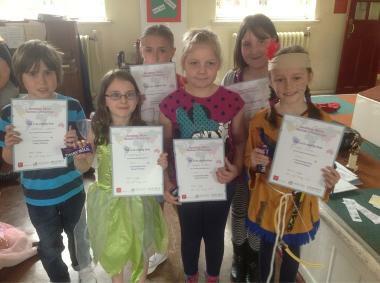 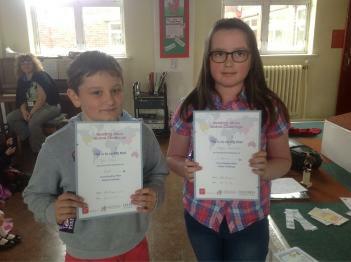 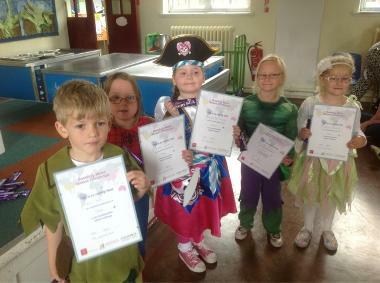 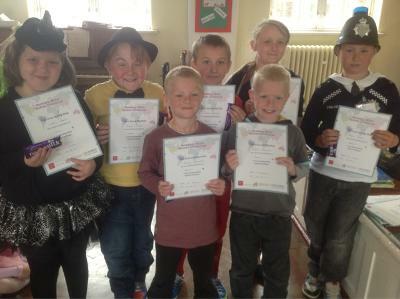 Lots of children took part in the 'Reading Miles' challenge from the local education authority. 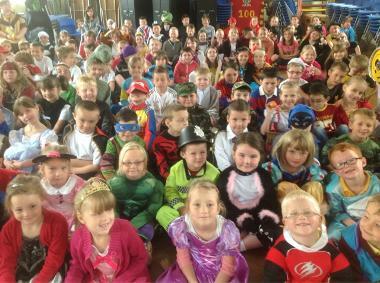 These children read all the way around the world and made it back home - over 11 hours of extra reading. 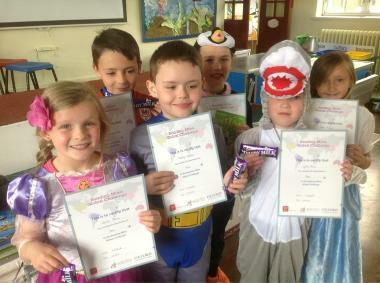 They were rewarded with a certificate and a bar of chocolate. 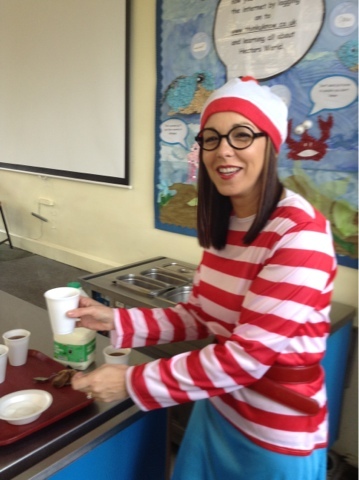 We all took part in the LEA 'Reading Miles' challenge. 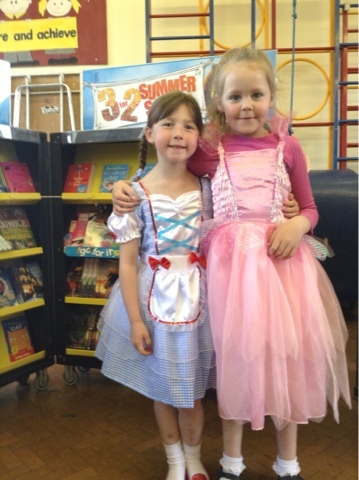 the children gained miles if they read at home. 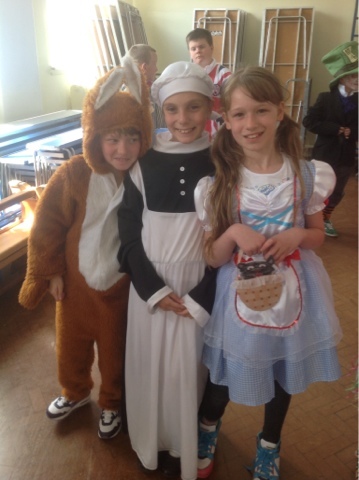 As the children read around the world they had to send a postcard when they reached a new continent. 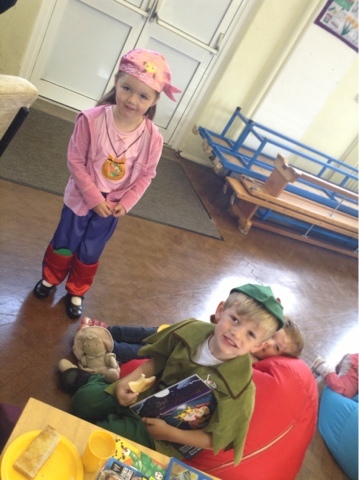 The children illustrated the front of their postcards with a picture of the book they had been reading and posted it in the school postbox. 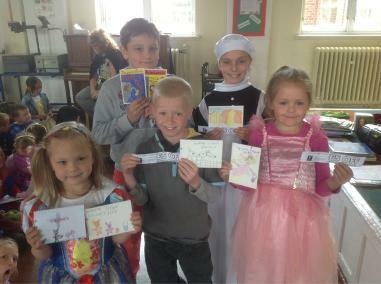 The best 5 postcard illustrations won a £5 book voucher to spend in the book fair. 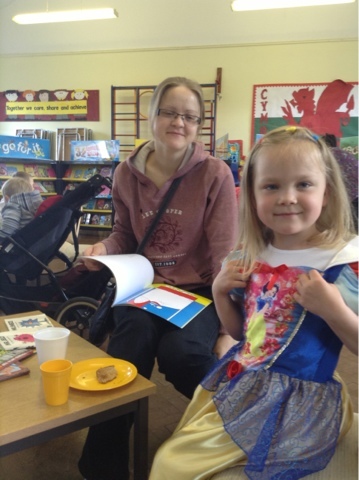 We held a 'Reading Breakfast' for our parents. 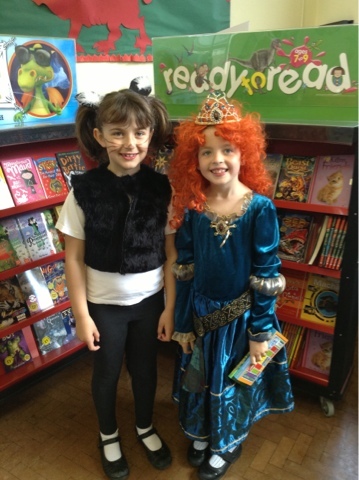 We could read lots of books and look at the book fair. 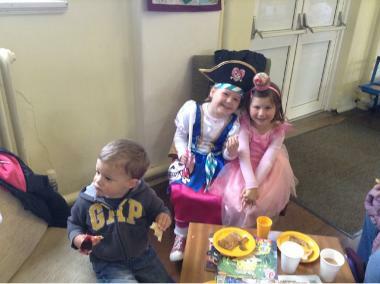 We all had tea and muffins or juice and toast. 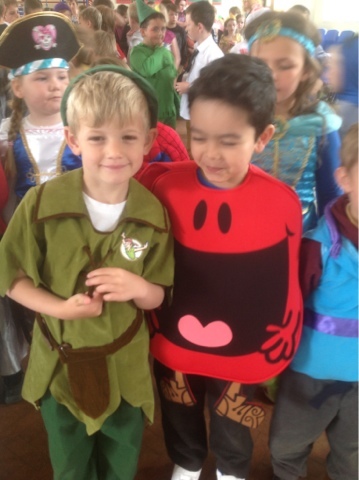 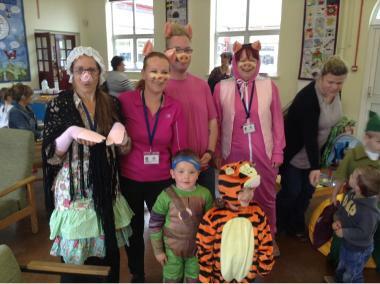 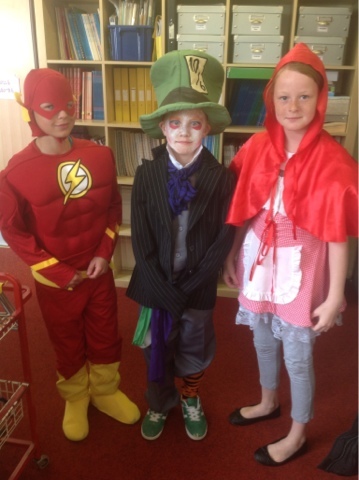 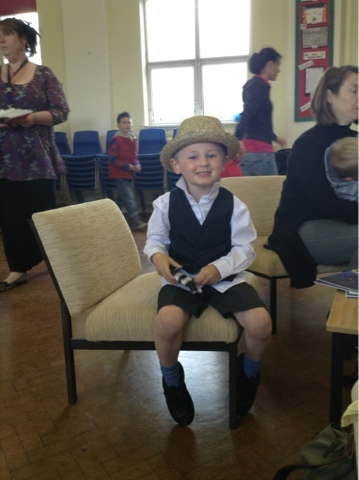 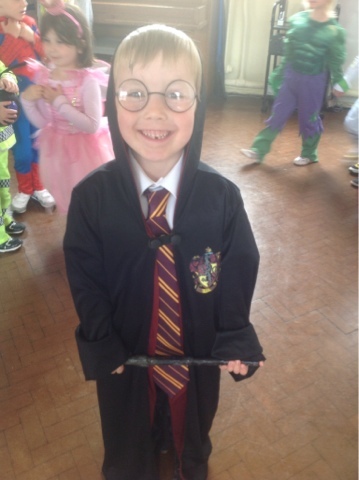 We all dressed up on Friday for our book day - don't we look great!